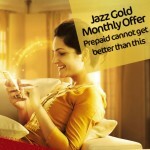 Pakistan number 1 network Jazz has come up with a unique offer for the residents of selected cities. The offer is introduced in the name of Apna Shehar offer. The offer allows the citizens of Shorkot, Jhang, Dinga, Kot Addu, Rajanpur, Pir Mahal, Toba Tek Singh, Dera Ghazi Khan, Head Faqeeran, Malakwa and Mandi Bahauddin to get incredible incentives at affordable rates for a whole day. Jazz has already offered the same kind of bundle for other cities also and will also extend it to whole Pakistan soon. If you are resent of the above-mentioned cities and want to subscribe the offer then have the essential detail below. To avail unlimited on-net minutes, free SMS and free data Mbs with Apna Shehar offer, you just have to pay only Rs 9.99 including all taxes. Call setup charges will apply. Jazz is giving the amazing benefits to the residents of selected cities on subscribing the Apna Shehar offer. You will have following incentives. Unlimited Jazz to Jazz minutes for endless on-net calls. 1000 SMS on all local networks for one to one conversations. 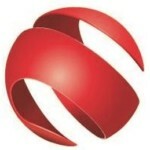 100 Mbs of mobile data (3G users only) for uninterrupted access to the internet. If you are resident of the selected cities, avail the Apna Shehar offer just by dialing the code *229# from your prepaid Jazz connection. Wait for the confirmation message before using the offer. The status string of the offer is *229*2# and the info string is *229*3#. How can you deactivate the offer?? Probably no one wants to deactivate this amazing offer but if you still want to then by dialing *229*4# you can deactivate the Apna Shehar offer. Your un-subscription will be confirmed by a verification message by the company. Apna Shehar offer is a daily offer and it will expire at the midnight of the subscription day. The offer is valid only for the prepaid subscriber of the selected cities only. Only Jazz to Jazz calls is not allowed in this offer. PTCL, off-net and international calls are not entertained. Call setup charges of Rs 0.15 including tax will be charged on initiating the new call. The Apna Shehar offer is accessible in Toba Tek Singh, Dera Ghazi Khan, Head Faqeeran, Malakwal, Shorkot, Jhang, Dinga, Kot Addu, Rajanpur, Pir Mahal, Mandi Bahauddin and other areas. In Punjab, Sindh, Baluchistan, and KPK 5% operational fees and service charges along with 19.5% FED tax will apply. In FATA, AJK, Islamabad and Gilgit Baltistan 11% operational fees and service charges along with 17% FED tax will apply In the Federal territory, Gilgit Baltistan, FATA and AJK 21.4% higher price will be charged. All charges are all-inclusive for taxes. Offer can be changed or withdrawn according to company terms and conditions at any time. The offer is offered for the only limited period of time. Jazz Apna Shehar offer is offered for the residents of selected cities only but the company has the plan to extend it to other cities also as well. Residents of above-mentioned cities should activate the offer as it offers unlimited resources at low cost.